The current Blog Carnival topic for the EtsyBloggers street team is "Christmas Spotlight - Show & tell of a Christmas item in your shop or your favorite gift idea in someone else's shop." My friend Kelli just opened her own Etsy shop (Willowdale) and is featuring "Tasmanian Monsters." (She lives in Tasmania, Australia.) 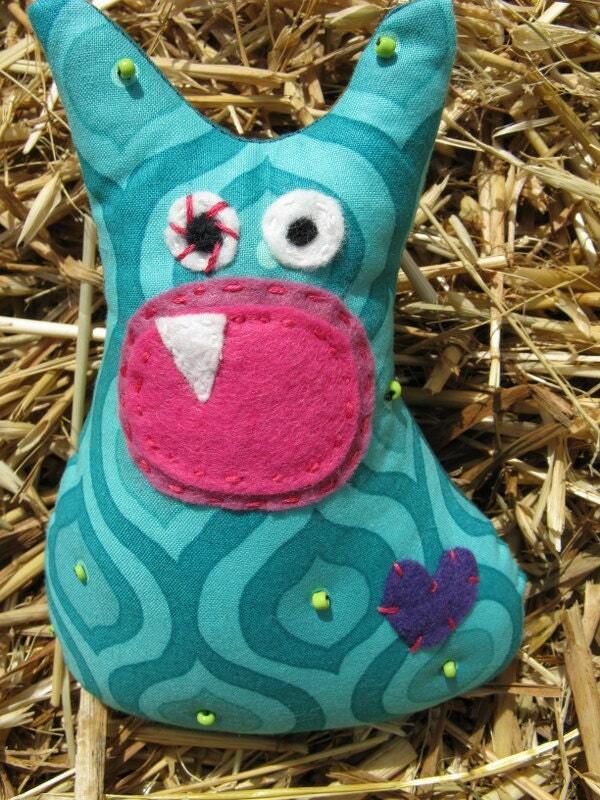 Her monsters are brightly colored, happy, creative beasts. This little guy's name is Abacus. The perfect antidote to the winter blahs, don't you think? I'm completely fascinated by this shop filled with handmade caramels (Caramel Jubilee). Pomegranate. Chocolate. Licorice. Pumpkin pie. What a lovely little decadent gift! I love the photographs of Val Cox. Each just glows with color and light. She takes her photographs using a vintage Ansco Rediflex twin reflex camera and her digital Nikon. 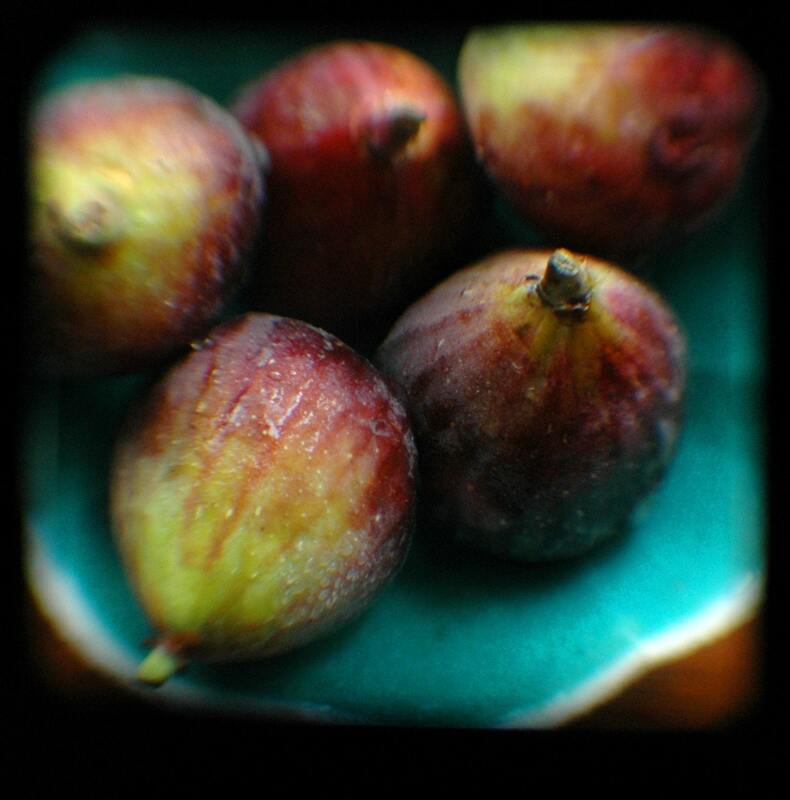 I have no idea as to how she creates the effects she gets, but I am haunted by thi s photo of figs in a bowl. I've gotten to know mercyming through Ravelry and Etsy Sneak Attacks. 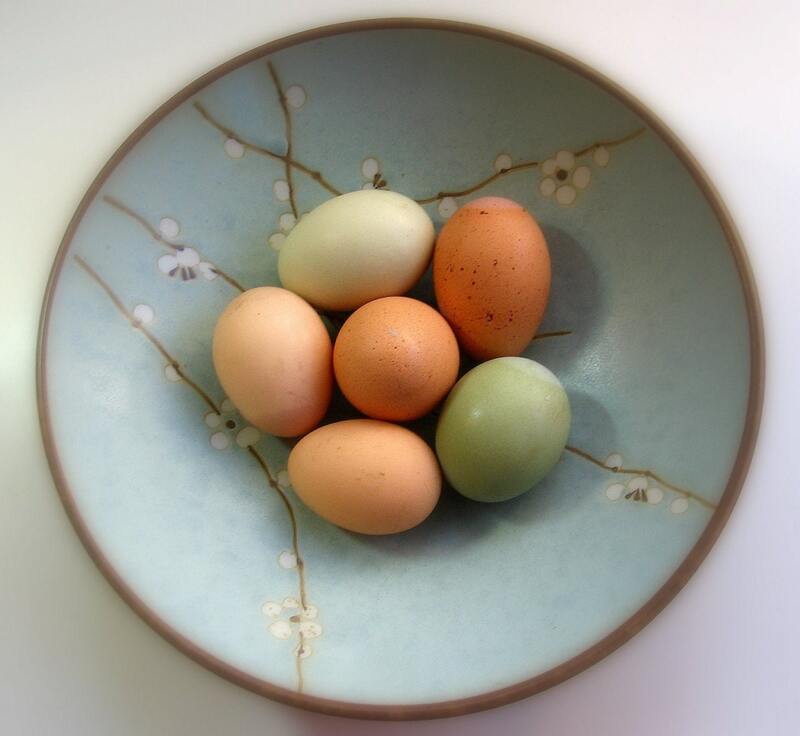 Her photograph of eggs in a bowl is very different from the photograph above, and just as beautiful. It's the essence of spring. LizzyClara is another Sneak Attack buddy. Her graphic illustrations are friendly, colorfu l, and just plain fun! 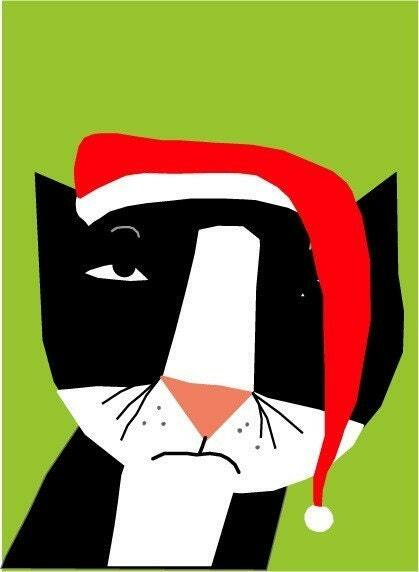 They feature tuxedo'ed cats, spotty dogs, loving birds, and sweet little villages. She offers tags, cards, and prints. Of course, we've pretty much gone past the time to order gifts to get here by Christmas, but these are great ideas for the future! 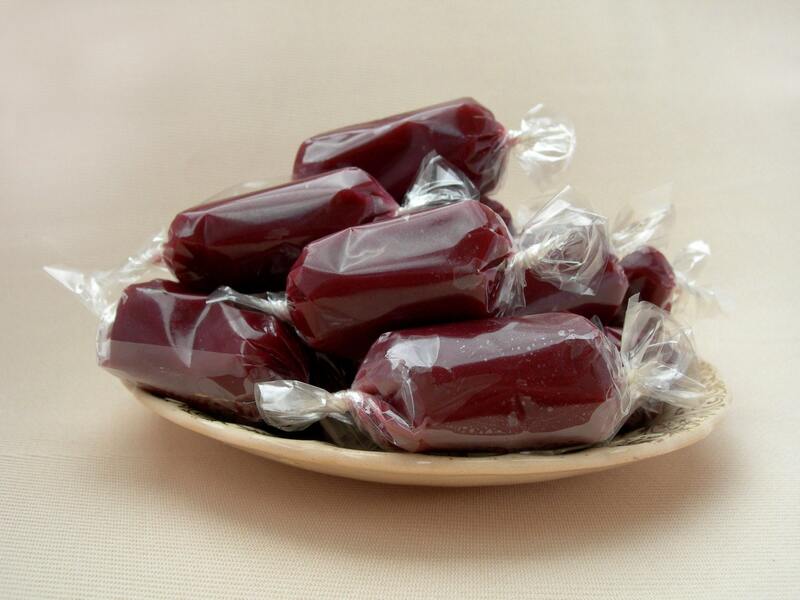 Thank you very much for featuring my caramels on your blog! Why Did I Learn to Knit?